EXXARO Resources will weigh its participation in the Moranbah South joint venture with Anglo American against other potential merger and acquisition opportunities it has in which it would “look seriously” at short term cash generating prospects. Asked to rate Moranbah South against Exxaro’s possible bid for South32’s South African Energy Coal (SAEC) unit, Exxaro CEO, Mxolisi Mgojo, said: “What I can say is that we are in conversations already with Anglo. “What we can say is that we will always be looking at that in relation to any other things within coal where it requires M&A and say: ‘what other things do we have that is our own first that we would rather put our money to’,” he said. “At the end of the day, if I’m buying something, if it’s not already on cash and it’s making good money, it’s actually doing something better than my own assets can do … Then you will seriously consider that,” he said. SAEC produces about 28 million tonnes/year (Mt/y) and comes with rights to 21% of the 91Mt/y Richards Bay Coal Terminal (RBCT). Approximately half of its production is exported whilst the company also has some 4.5 billion tonnes of in-situ coal in undeveloped resources in South Africa. South32 said in February at its interim results announcement that it had short-listed four to six companies from an initial list of over 50 interested in bidding for SAEC. It was due to take a decision on the preferred bidder by the middle of 2020 financial year at the latest. 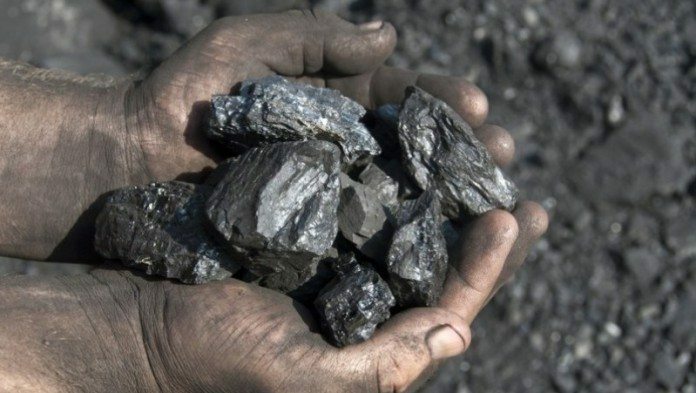 Moranbah South was put up for sale by Anglo and Exxaro but after failing to attract suitable bids, the parties decided to re-examine developing it together, a view that was informed by a 40$ improvement in metallurgical coal since about 2017. “Exxaro, together with Anglo American, are in the process of reassessing the potential development plan for the project,” said Exxaro last year. Moranbah South is positioned in Bowen Basin in Australia’s Queensland. In an interview with Miningmx, Mgojo also said Exxaro hoped to advance discussions with Anglo American’s 80%-held subsidiary, Kumba Iron Ore, about the chances of Exxaro flipping up its 20.26% stake in Sishen Iron Ore Company (SIOC) into Kumba Iron Ore shares. SIOC delivered a R2.6bn dividend to Exxaro last year. “We have had a conversation but not with Kumba Iron Ore itself and so we hope to take this forward,” he said. “That is what is planned so we’ll see how it transpires,” he added.